Looking for things to do in the Yucatan Peninsula? The Couple for the Road shares their top recommendations. The Yucatan Peninsula is an expansive swath of land in eastern Mexico, separating the Caribbean Sea from the Gulf of Mexico. From the azure waters of the Caribbean coast to the remains of great, fortified structures strewn throughout the interior, there are so many things to do in Yucatan. The Yucatan Peninsula has something for both the adventurer and the beach-bum. This area, once a primary stronghold of the Mayan Empire, is now a haven for tourists of all walks. In few places in the western world are luxury beach resorts built beside ruins from a previous civilization that thrived not so long ago. Where spring-breaking college students frequent an area just as popular to world-renown archaeologists and academic experts from around the globe. Perhaps it’s this diversity of appeal that makes the Yucatan so enjoyable, so striking, and yet still somewhat mysterious. No matter the reason, once you get there, there are many different ways you can explore, enjoy, and enrapture yourself in the Yucatan Peninsula. While the temptation will be to stay in either Cancun or Chichen Itza, we think you'll get more out of your time in the Yucatan by staying in Valladolid. 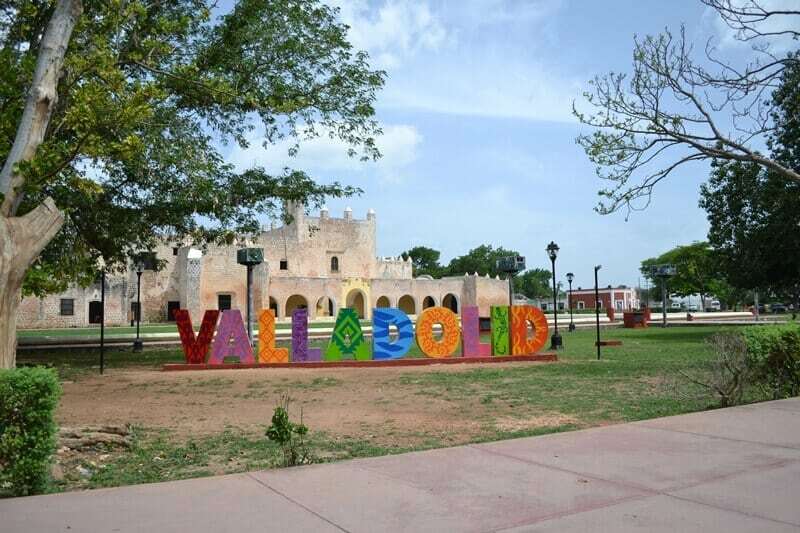 Valladolid is the largest city in the heartland of the Yucatan Peninsula. Cancun is for a different type of traveller and better-suited for those looking for an idyllic beach getaway. With all there is to see and do in the Yucatan, you really don’t want to be so far away from Chichen Itza and the attractions further inland. Conversely, Chichen Itza lies roughly 40 minutes southwest of Valladolid, and further from attractions along the east coast that you’ll want to see. 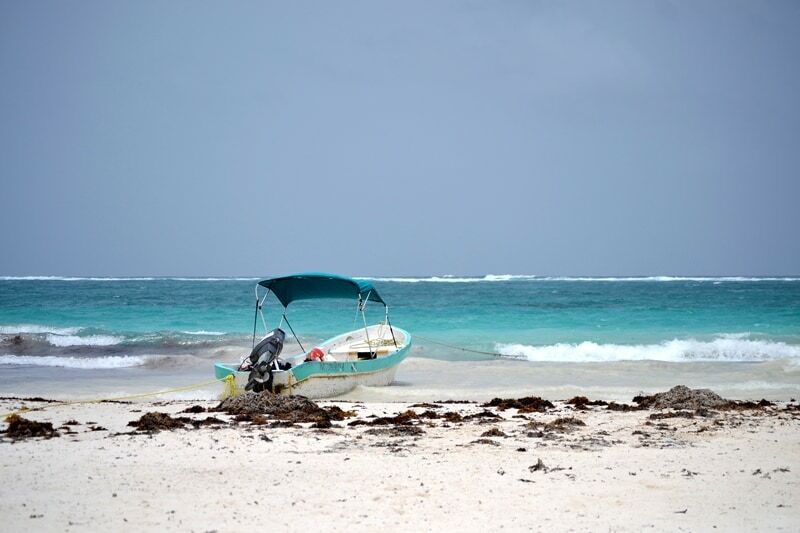 Located a mere two-hour drive from ruin locations such as Tulum and less than an hour from a handful of other desirable locations, Valladolid is both affordable and beautiful. You’ll want to stay as close to Plaza e Parque Francisco Canton in downtown Valladolid as possible. Valladolid has a myriad of restaurants and shops. Plus it is easy to access Mexico’s highway 180, which goes west-to-east across the peninsula. If you want to really see all the Yucatan offers, staying in Valladolid is a must. You’re staying in Valladolid, right? 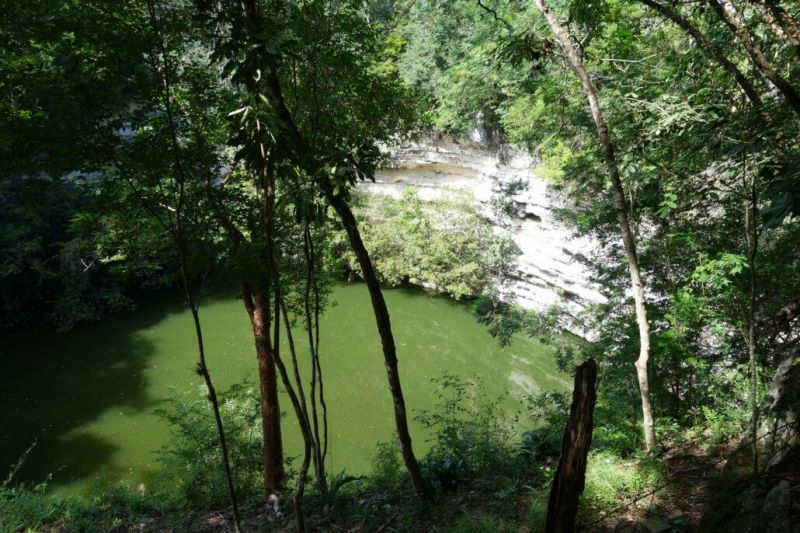 That’s good news, as just a short walk from downtown is Cenote Zaci. 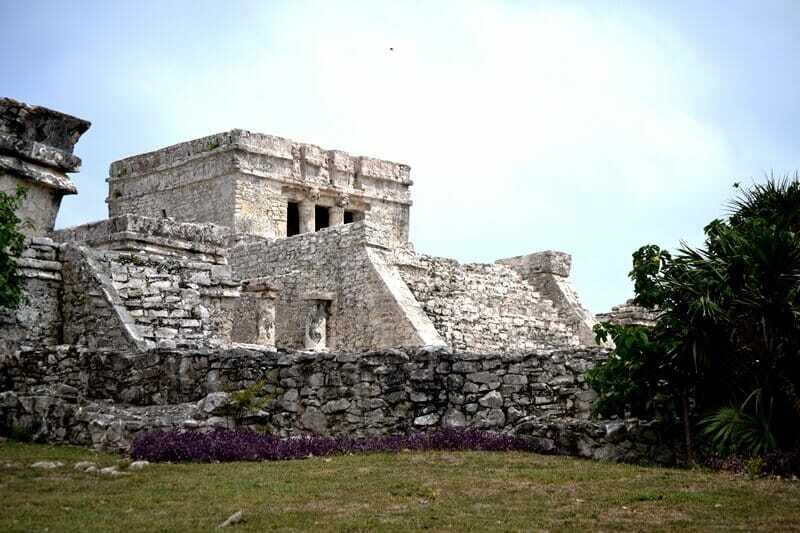 It is a main tourist attraction in the city and a deeply important location to the Mayans. Zaci is cheap to enter, at only about 30 pesos per person, and offers a simply irreplaceable experience once inside. You’ll find yourself stepping down a steep, narrow, staircase that reveals a grand expanse of vegetation and cliffs which overlook the beautiful Cenote Zaci. Here you can challenge your fear of heights with a jump of more than thirty feet into the waters below! 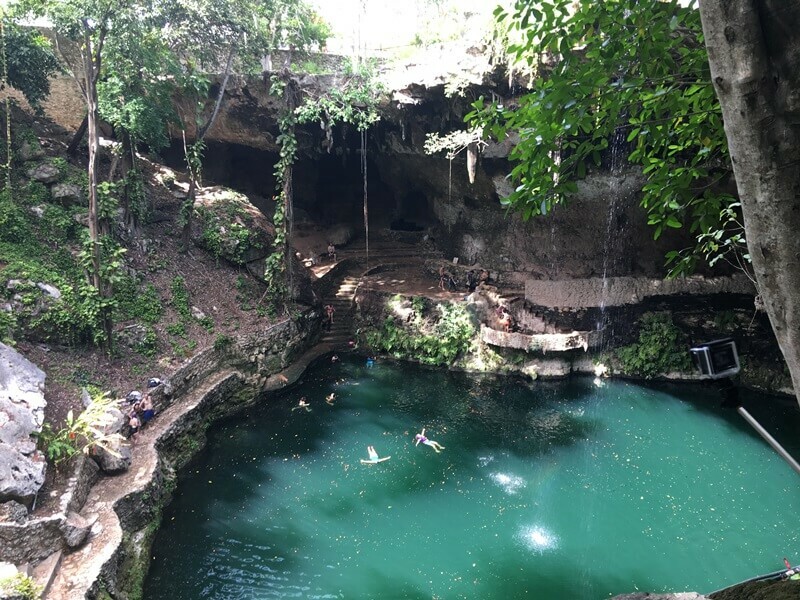 If cliff jumping isn’t quite your speed, the expansive and cool waters are perfect for a peaceful float in the heat of the day, and easily reachable by the walkway that is built into the perimeter of the cenote. 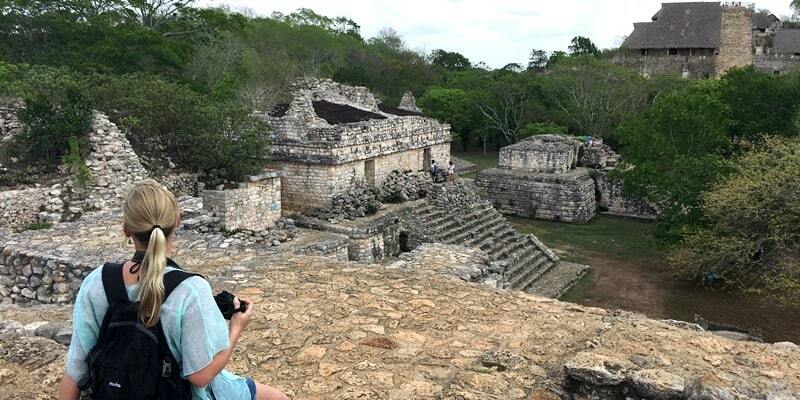 Ek Balam is the Mayan ruin nearest to Valladolid and that needs plenty of time to visit. The complex is sprawling, with more than 45 structures of varying purpose, design, and size. The most notable structure on the grounds is El Trono (‘The Throne’), where the founder of Ek Balam society, Ukit Kan Le'k Tok', is thought to be buried. This is a striking structure with a deceivingly steep climb of 106 steps to the top. 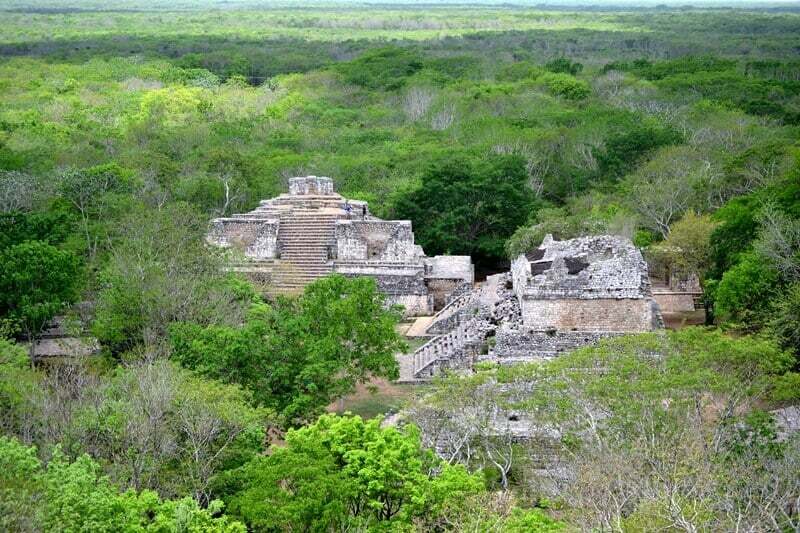 From here, one can gaze upon the entire canopy of the Yucatan jungle surrounding Ek Balam in wonder. Closer to ground level, there are ancient chapels, steam baths and the Oval Palace. It was believed to be a place of worship giving thanks to the Gods. The top thing to do in the Yucatan Peninsula is, without question, Chichen Itza. This far-reaching campus of pyramids, ball courts, sanctuaries, and temples is believed to be the primary location for Mayan Governance. 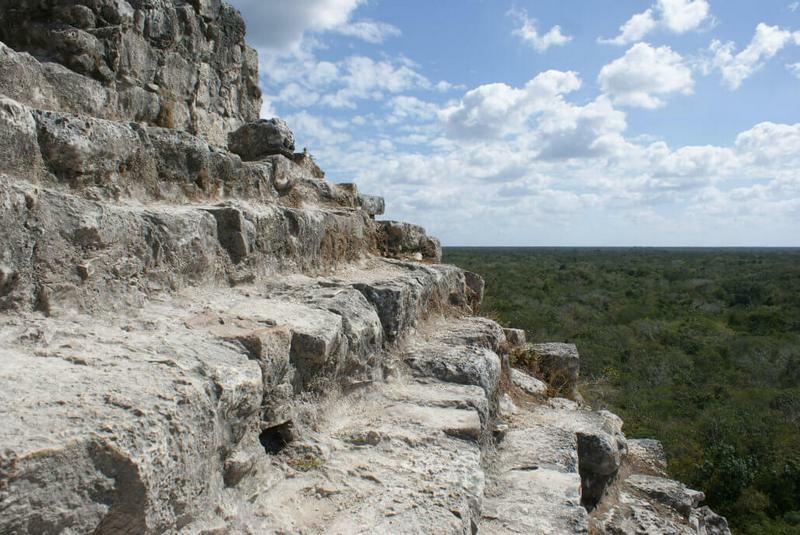 The Pyramid of Kukulcan, or El Castillo as it’s colloquially called, is the centrepiece. The steep, high stairs seem to taunt you as they draw the eye up in admiration of a truly magnificent Mayan structure. Note: You can no longer climb the pyramid. It is here where Mayan priests conducted their most private and important ceremonies, to give thanks, ask for blessings, and even bury their leaders. 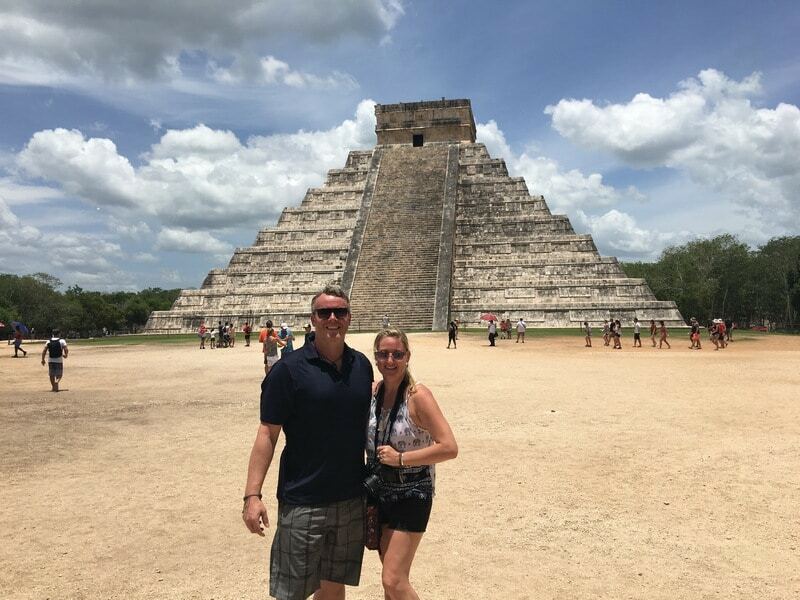 El Castillo isn’t the only draw at Chichen Itza. The Great Ball Court – the site of an ancient, ritualistic game played by the Maya in honor of the Gods, whose loser lost not only the game – but, often his life. On the grounds of Chichen Itza is the Sacred Cenote, the primary cenote from which the Chichen Itza civilization thrived for hundreds of years. Evidence suggests that the Maya used this site for religious ceremonies. Today it is a primary attraction for visitors to the Yucatan due to the deep, refreshing waters and mesmerizing scenery. This cenote is a key destination for historians, scientists, and professional divers, as pottery, tools, and even remains have been found along riveted shelves in the cenote walls! With the crystalline aqua of the Caribbean Sea as a beautiful backdrop, Tulum stands proudly on the shores far above the powdery white sands beneath. Amid vacation resorts, hammocks and sun-kissed tourists, Tulum is one of the most visually captivating locations in all of North America. The resort town that Tulum rests within does nothing but add to the inspiring nature of the location, as revellers of fun-in-the-sun can take a history break to walk the grounds of the former Mayan fortress. After exploring the beautiful ruins, take a walk down the road to any one of the local restaurants for fresh food and drinks – right on the beach. Coba is among the ruins in the Yucatan Peninsula that offers the most interesting, freshest perspective among history-lovers and archaeologists. Only partially complete in its excavation, Coba remains a rugged structure that peaks above the emerald trees to reveal the true remoteness of its setting. You can see mounds upon mounds of unearthed structures across the forests – where scientists believe that more than 90 percent of the Mayan ruins in the Yucatan remain hidden! Make sure you wear a good pair of shoes, as Coba presents one of the more challenging climbs among the pyramids in Mexico, with 120 steep and daunting steps to the top! You’ve never had authentically Mexican food quite like that offered in the Yucatan. So stunned will you be by the depth of flavor, the intricacy of preparation, and the satisfaction of the experience that you will yearn for it long after your trip home. Fresh. Bold. Rich. The profiles of even the simplest dish in the Yucatan will leave the foodie in all of us begging for more! We could honestly say upon leaving that we’ve never had guacamole so good and never had tacos so good! But more importantly, we enjoyed the unique spin on every-day Mexican classics the people of the Yucatan have perfected. 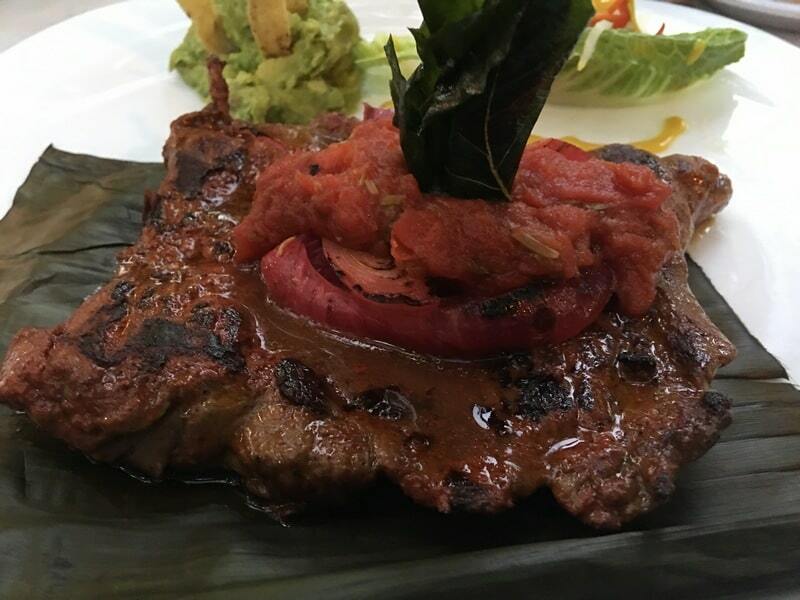 There are a few local favorites in the Yucatan, most of which are comprised of some of the best steak and chorizo dishes this side of Argentina! Typically these locally-created dishes are served with pickled sweet-onions along with fresh jams, bean dishes, and sauces such as chimichurri. 8. Go for a Drive – With Your Camera! It took us only one afternoon to learn a very valuable lesson – take your camera everywhere in the Yucatan. Even on seemingly long, empty stretches of road between ruin locations or cenotes, there are opportunities for the casual shutterbug. Whether a railway leading into the brush, a beautiful country shop, or scenic nature, the Yucatan will continue giving you opportunities to capture more. Simply get lost, stop wherever you’re moved, and try to capture what only the eye can see. This would’ve been how the Mayan would’ve wanted you to experience their home, so do it! When it comes to the people and culture, the Yucatan Peninsula will leave you truly moved. Any trip to the Yucatan is truly remiss without the areas greatest attribute – the people. 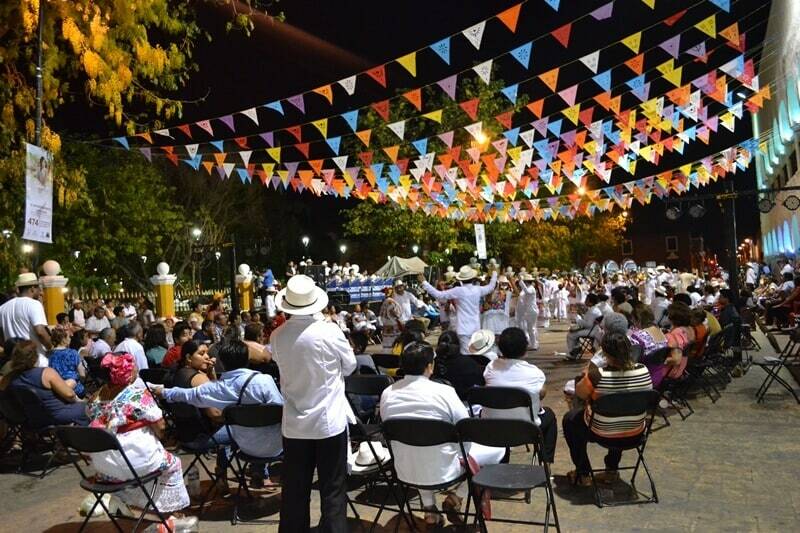 They are so kind, so giving, and so engaging that you’ll find yourself lost in simple conversation while wanting to know more about the customs that make the Yucatan truly unique. The Yucatan pulls the best from you, and from that, you’ll find yourself truly mixing with a land, and people, who are unmatched in their charm, beauty, and warmth. When you visit the Yucatan Peninsula of Mexico, you will create memories to last a lifetime and will want to come back again and again. Justin and Tracy Uselton are the writers of A Couple for the Road, a couples travel blog that focuses on food, drink and culture written from a personal and artistic perspective for the avid traveler. Find them on Facebook, Instagram and Twitter. 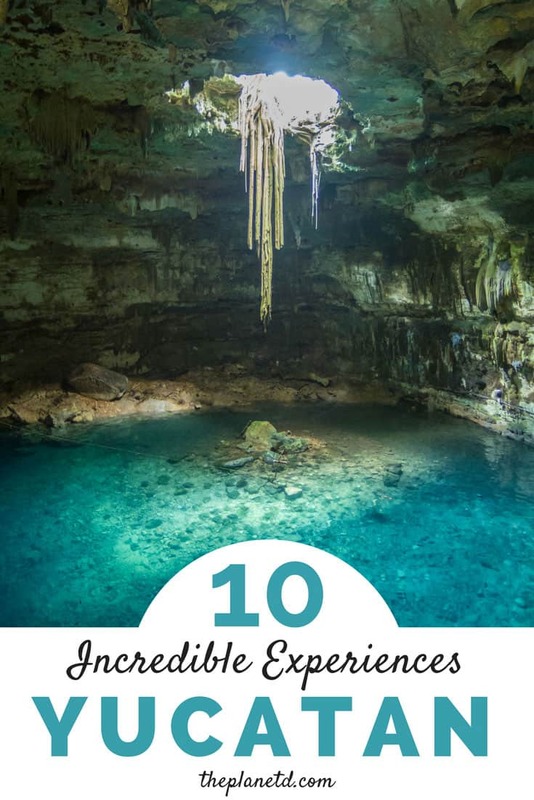 5 Responses to "Things to do in Yucatan – The Yucatan Peninsula Mexico Guide"
Awesome post along with the relevant article. Very informative. It is suitable for all travelers who love to know history. Highly recommend to all those travelers. Appreciate it for your great effort to share your travel experience. Hope that you enjoyed a lot traveling to this admirable destination. I lived in Mexico. This post made me want to go back and experience from a different perspective. Your blog has all you need I. One convenient location. One stop shopping! Thanks for sharing this great information , such a nice blog ……you are fab guys keep writing. We have never even heard of Valladolid but now we want to go! After several trips to Cancun and only making it out to Tulum once, we have Mexico on our list of places before 2020 and this post just helped us to decide where to stay. Love the pics and details. I’m shooting a wedding in Tulum next month! I’m so excited to get back to Mexico and explore some of these spots!